When you decide that it is high-time your business started to flourish, Google AdWords becomes a must-have marketing tool. In this great modern age that we live in, Google is the king and at the centre of everything. 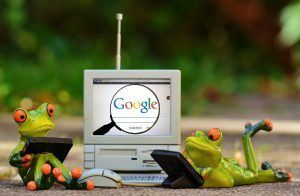 Therefore, it is imperative that your business shows up on Google searches – and at the top of the list, too. This is where AdWords comes in. Using AdWords isn’t enough though, you have to use it well in order to thrive. There are thousands of other businesses using AdWords, too, so you need to learn how to do it better than your competition. But how, I hear you say? Well, we have 5 top tips to succeed with Google AdWords here for you. One of the most common problems we see in Google AdWords accounts is the lack of tracking. How can you ever get to grips with the amount you are spending versus the amount you are receiving without an effective way of measuring what works and what doesn’t? Implementing some sort of conversion tracking on your website will enable you to optimise for keywords that actually return a handsome amount to you, and filter out the poor performers. Do you have a handsome pay per click budget? Then only use 10 keywords! Whilst managing a budget in the thousands, in-house seems cost-effective but it can be counterproductive. The product knowledge of in-house “Digital Marketing Managers” can sometimes be lacking in the precise effectiveness of PPC campaigns, this is evident when we come across accounts with only 5 – 10 keywords! Let’s say you sell iPhone accessories, you don’t want to target just iPhone Accessories, iPhone 8 Accessories, iPhone X Accessories, and iPhone Chargers but rather target hundreds or even thousands of keywords – especially when it comes to iPhone accessories. For example, iPhone Accessories, iPhone Cases, iPhone Leather Cases, iPhone Chargers, iPhone 7 Chargers, iPhone 8 Cases, iPhone 8 Leather Cases and so on. I would advise using the AdWords Keyword Planner, this is a great place to start for identifying keywords to target your search ads. Regularly mine your search terms report for new keyword ideas, and keep an eye out for negative keywords. Identifying these golden nuggets of return on investment can be the single most important optimisation tip that we can give you. By adding negative keywords, you restrict your ads from displaying only to your correct audience. Overtime, the less you show up for irrelevant searches and instead show for relevant searches, the more you will see your return on ad spend shooting up! Broad matched keywords can trigger Google searches that are highly irrelevant if you haven’t analysed your search terms report on a regular basis. This means that by using only this match type can be catastrophic to your marketing budget. Selling only iPhone accessories? You could be wasting £££’s on people searching for Samsung accessories. Use the AdWords match types to tighten the net on your target audience; use phrase match to target searches that utilise your keyword in the middle of their query. Use exact match for your “money keywords” and ensure maximum coverage of these. Use broad match keywords as your insurance policy to catch the one hit wonder Google searches. Wherever possible, without going overboard, break your campaign up into highly themed sets of keywords. Using the example of iPhone accessories, try and keep ad groups to cases, holders, earbuds etc. If the search volume warrants it, you can go even further like photo cases, red cases, leather cases etc. Remember not to get too carried away as you could spend a lot of time breaking out for searches that may never happen! You may have a situation where you save single keyword ad groups – this is fine and very granular… well done you! There you have it, our top tips for succeeding with Google AdWords. It is simple when put this way, but it’s even simpler when you let the professionals handle it for you. We have done this for years, and understand how to measure and implement the necessary changes to help you go further. We know search, so let us help you get noticed.